18ct white gold 3 stone ring set with a .60ct F SI1 round brilliant cut diamond. 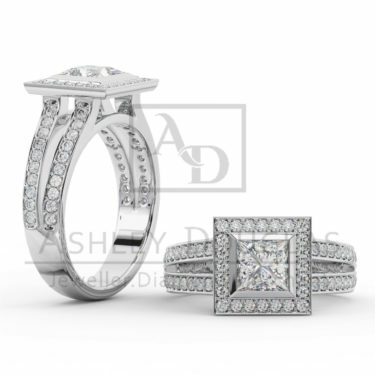 18ct white gold band is set with a three stone design. 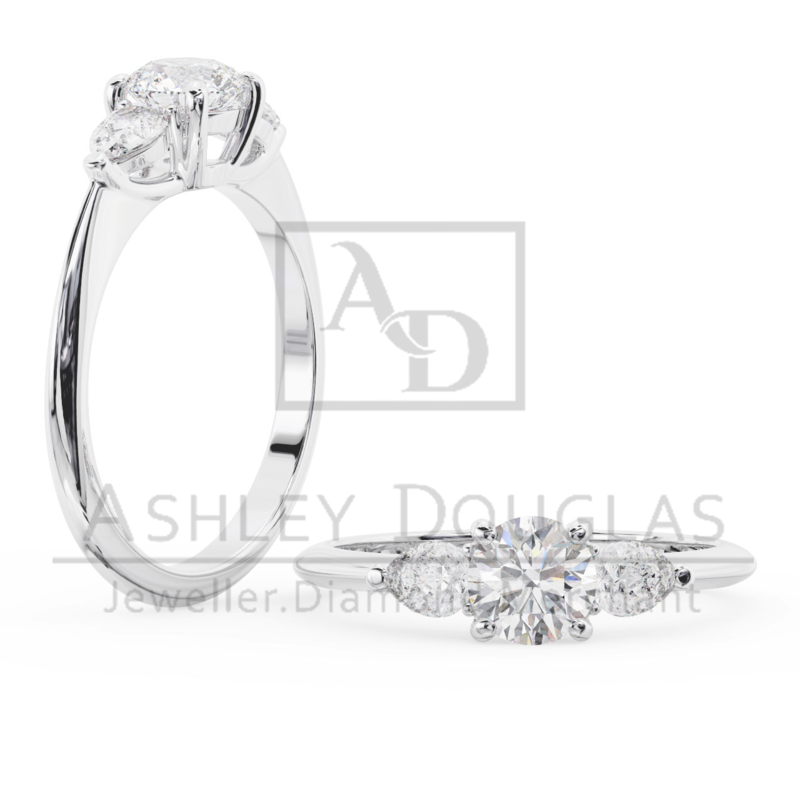 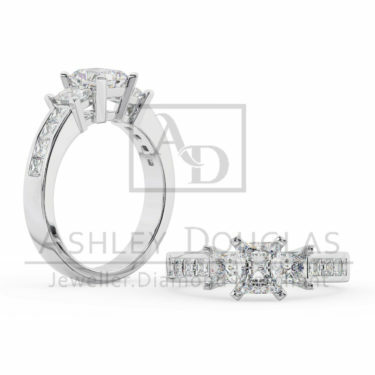 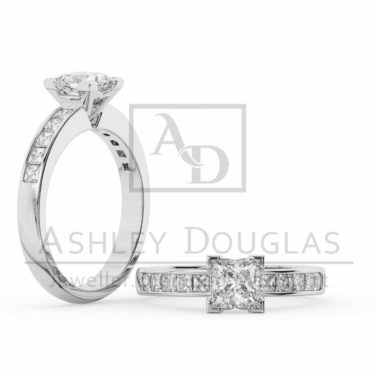 This includes two, stunning pear shaped diamonds and a .60ct round, brilliant cut diamond with a knife edge band. 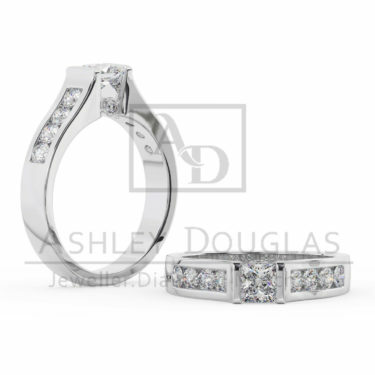 Matching wedding band A396.